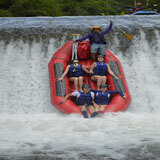 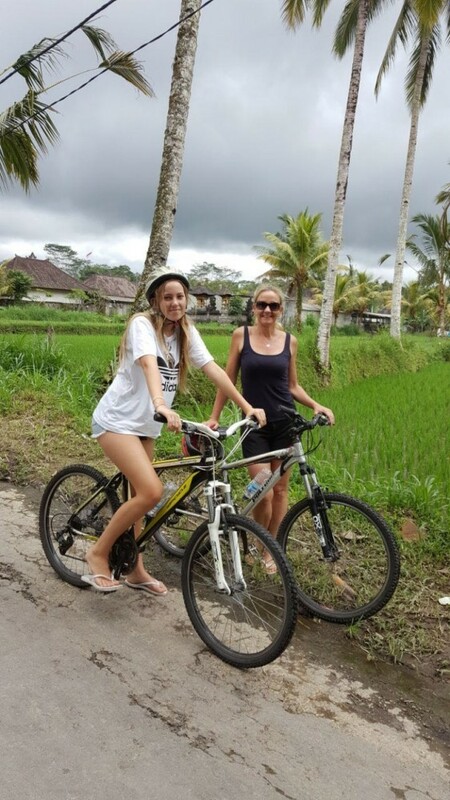 Bali cycling is one of Bali activities for tourist who visit the beautiful island of Bali. 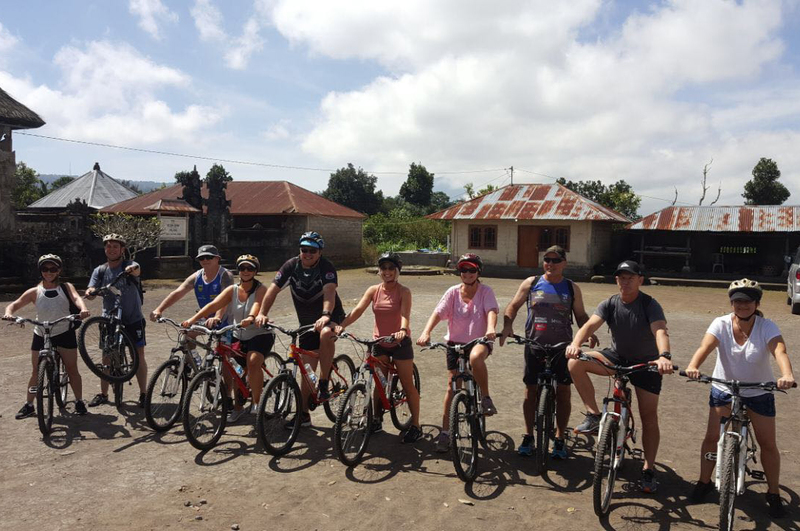 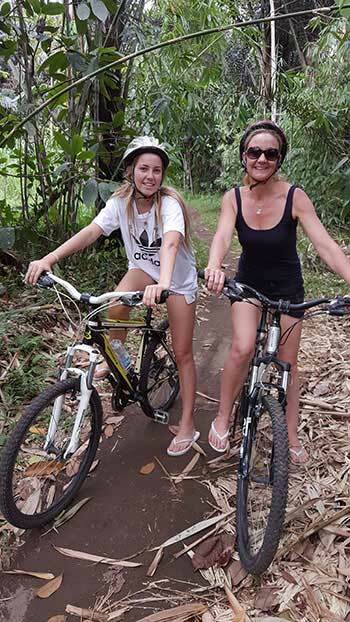 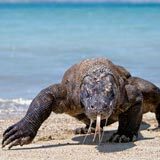 Bali cycling or Bali bike tour with Hai Bali Cycling is not less interesting activities than the other tourist attraction in Bali. 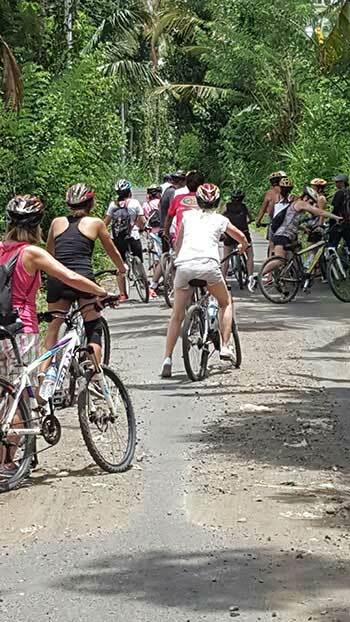 Hai Bali Cycling to offer you an amazing experience riding a bicycle through the nature of Bali which is still very secret and away from the city crowd. 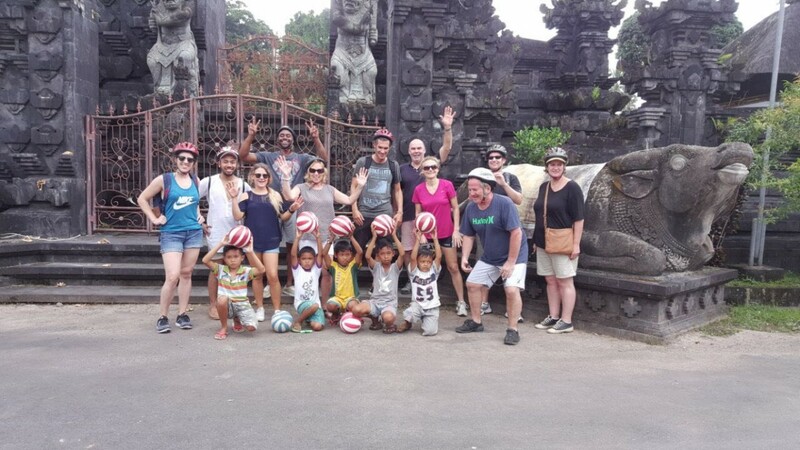 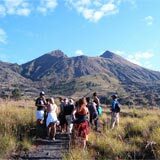 And get the experience of meeting the Balinese people in the village and see their lives directly. 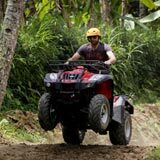 Our track will take about 2 hours 30 minutes with a distance of 28 kilometers and is a combination of on road and off road tracks through the countryside, tropical forests, bamboo forests, plantations, rivers, rice fields, and some temples. 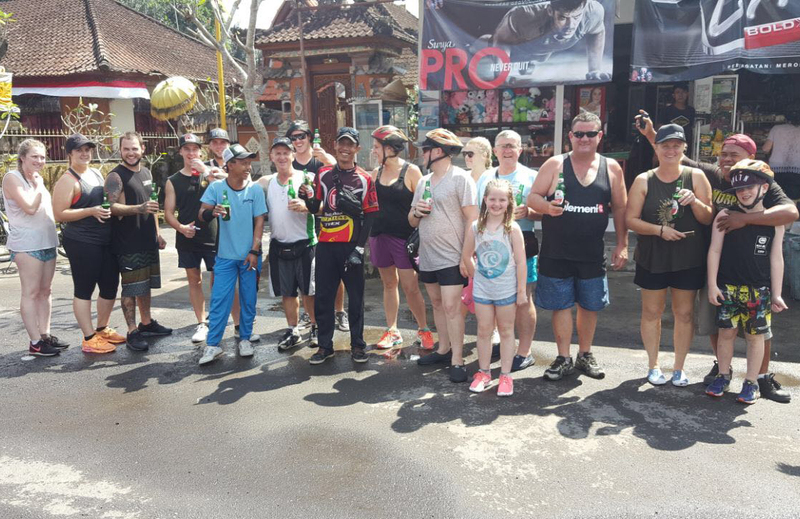 You will be picked up from the hotel between 7.30 - 8.00 am and drive to location around 1 hour 20 minutes drive. 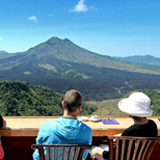 Upon arrival, you will get breakfast with coffee or tea and pancake. 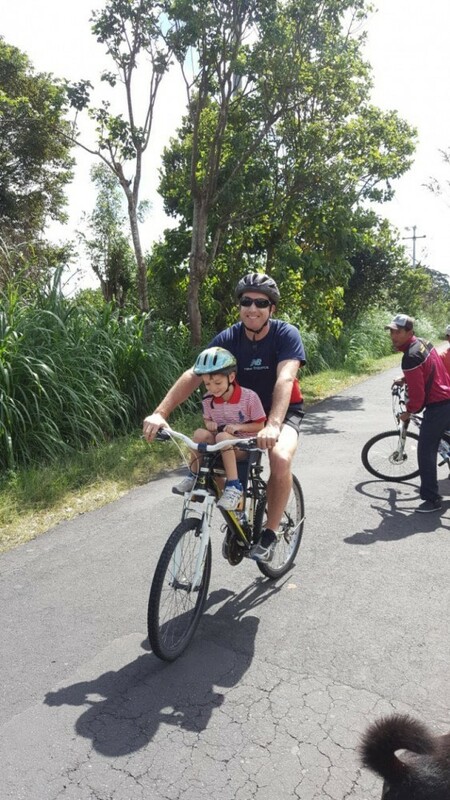 After that will drive to start point, then use complete equipment and try the bicycle in the special area. 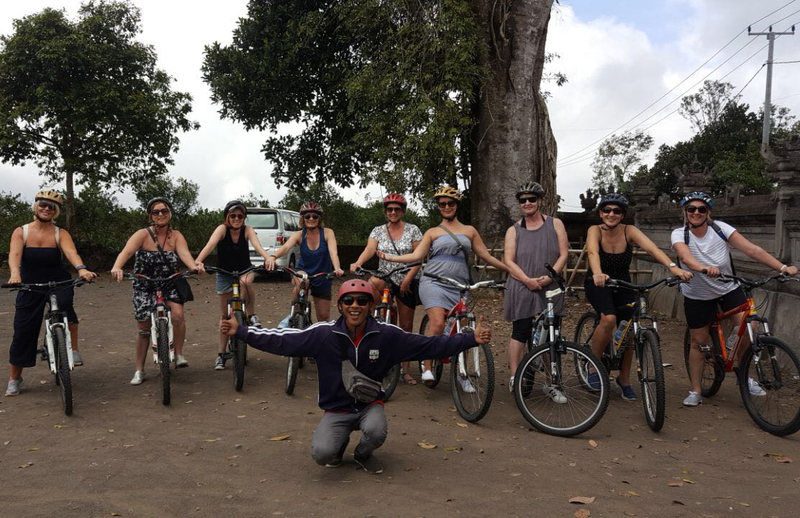 We will start the cycling trip and you will be accompanied by one group. 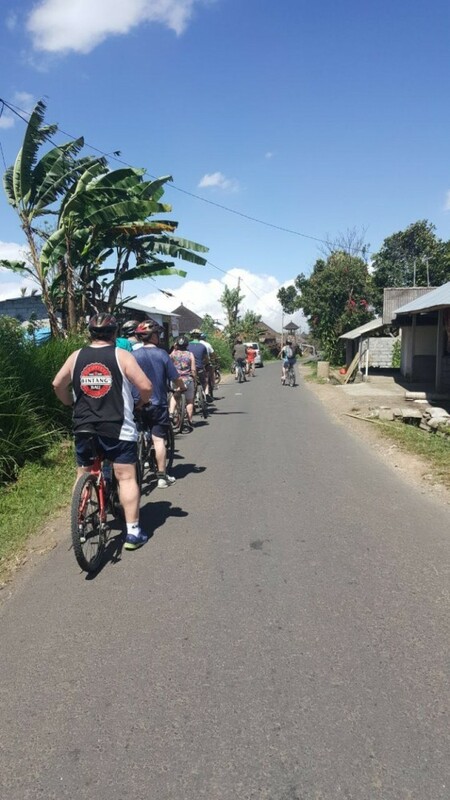 During Bali Cycling tour, you will pass countryside, tropical forests, bamboo forests, plantations, rivers, rice fields, and some temples. 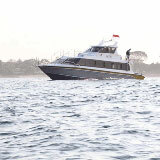 It will take about 2 hours 30 minutes and the distance around 28 kilometers. 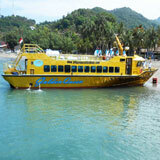 Afterward, have a lunch at the restaurant with the variety of menu of buffet lunch. 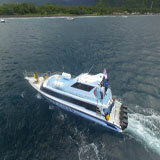 Then, our driver will take you back to your hotel and arrive at around 3.30 pm. 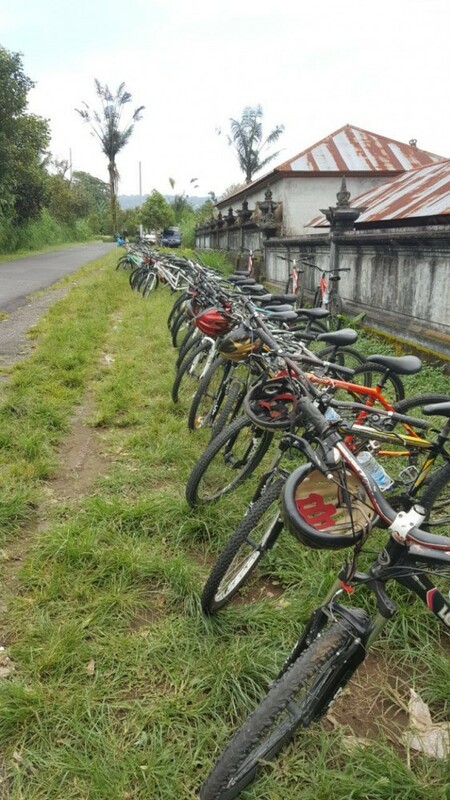 What to bring on Hai Bali Cycling?